Wednesday, February 13 from 5:00 p.m. to 7:00 p.m.
SouthCoast are invited to attend. 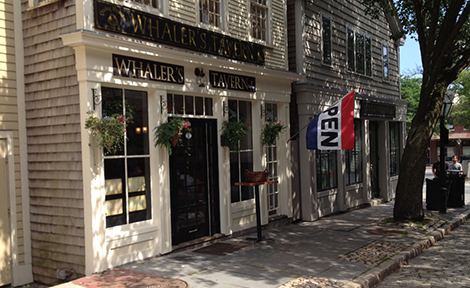 The cost to attend is $10 and includes a spread of delicious appetizers provided by Whaler's Tavern! "Off the Clock" is not your typical networking event. Off the Clock blends educational opportunities with peer to peer networking among young professionals in the SouthCoast. Advance reservations are required online at www.southcoastchamber.com or by calling 508-999-5231. Sponsorship opportunities are also available. If you would like to receive more information about the SouthCoast Young Professionals Network, please contact Rebecca Laliberte at 508-999-5231 or email rlaliberte@southcoastchamber.com.